Lincoln Prep is still the team to beat in the Interscholastic League, but Blue Tigers’ head coach Henry Newell isn’t concerned about being knock off its top perch. 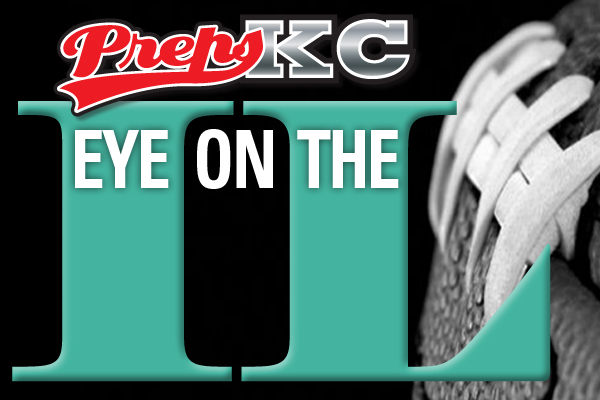 The two-time defending league champions will be challenged in the standings by Northeast, East, Southwest Early College Campus and African Centered College Prep and Kansas City Central, but it’s not the conference slate that is at the top of Newell’s concerns. The Blue Tigers’ non-conference schedule includes Saturday’s season-openin 36-34 close loss to Hogan Prep – a team receiving votes in a statewide poll – and contests against Oak Grove, Center, University Academy, Pembroke Hill and St. James. Nevertheless, Lincoln Prep, 7-4 overall last season and 4-0 in the IL, is still the top team in the league, sporting a combined 9-0 league mark the last two seasons. Biggest Challenge: The biggest challenge for the Northeast Vikings has been the turnover of the coaching staff late in the summer and picking up right where things left off. Outlook: The Northeast Vikings are a young team with some solid veteran leadership who should be able to grow and progress throughout the year to potentially make some noise. Biggest Challenge: The biggest difficulty will have this year is making sure we have enough depth to keep our two way players fresh for four quarters. Outlook: We have some really good athletes this year but giving them breaks throughout the game is a must. Coach’s thoughts: “We have a good shot of winning a lot of games this year with the talent that we have as long as we stay healthy and focus on each game one week at a time. Outlook: Can be a pretty good team, if they make some sacrifices.